Whenever scientists look at naturally occurring substances, they tend to start finding ways to synthesis it in the laboratory. Part of this is curiosity but part is also down to creating a product that may have medical applications and which can be carefully controlled. Of course, for large pharma, some people are also cynical that it’s all about making money. Marinol is a prime example of this. It’s essentially a synthetic version of THC, the substance in cannabis that delivers the high. Marinol has been around since the 80s, when it was first introduced to treat symptoms associated with the AIDS virus. It is generally favored by health insurance companies in the US when it comes to helping with a variety of conditions such as nausea and weight loss. That’s despite medical cannabis seeming to have a much better track record and giving users greater control. There has been a fair amount of controversy over Marinol since it was first developed as a cannabis substitute. Much has changed in recent years because of the relaxing of cannabis laws around the US and other regions in the world. Those prescribed the synthetic drug have often complained that it doesn’t work very well and has side effects. While cannabis is classed a schedule 1 drug in the US, Marinol has recently been moved down to schedule 3 which means it is considered far less of a risk. The drug, according to some experts however, causes quite a few issues. For a start, it doesn’t contain any CBD whatsoever which makes it less effective as medicinal cannabis. The reason this is a problem is because more and more people are favoring whole plant medication, believing that not just CBD but the terpenes and even THC can have beneficial effects. These currently can only be obtained from the natural cannabis plant. The trouble for many people with medical conditions, unfortunately, is that their use is not covered by any health insurance in the US and is actually prohibited in quite a few states. It’s basically the closest approximation that the lab could come up with to mimic the THC molecule without actually getting it from the plant. The synthetic part of the drug is called dronabinol which is transformed into tablet form with a little sesame seed oil. While it was originally used as part of the treatment for AIDS victims, it is more often nowadays prescribed for those suffering from wasting diseases like MS and dystonia. In recent years, a large body of research work has developed concerning the impact of cannabis on conditions such as multiple sclerosis or MS. Evidence has shown that adults with chronic pain can achieve a significant reduction in their symptoms when treated with cannabis and that effects can be achieved which are at least similar to oral dronabinol. This presents issues for both prescribing doctors and the health insurance industry. for. Some of this is based on research, some is anecdotal evidence provided by people who are suffering from conditions such as MS or chronic pain. One of the first thing patients say is that they can control dosage better with natural cannabis than it’s synthetic counterpart. This has been a problem with Marinol since it first came on the market. Even a small dose can cause unwanted highs that are difficult to control, especially if you want to continue working or are planning on driving. Patients that want to remain fully functional and still get pain relief say that they can do this better when they limit the amount of cannabis they take or change the strain they use. While Marinol is often used to control nausea, the truth is that many patients find that it causes higher levels of sickness than with natural cannabis. In other words, it does nothing to make them feel better. There are other side effects that patients can’t cope with, including anxiety and dizziness. That doesn’t mean cannabis doesn’t have any side effects at all and is the perfect solution. But patients can try different strains to ensure that they get something that suits their needs and their individual biochemistry more closely. There’s increasing evidence that it’s not just THC which is likely to be beneficial to MS sufferers and that those with other illnesses that can also benefit. Natural cannabis contains a range of cannabinoids, including CBD which can act as a counterbalance to THC, reducing the high effect. All Marinol does is isolate one particular aspect of the cannabis plant and define what a large range of patients needs. There are also no terpenes or flavonoids in the synthetic drug, elements of the cannabis plant which are being seen as increasingly important in treating a wide range of symptoms and health issues. It’s no wonder that patients are starting to turn to more natural products, particularly in the US where medicinal cannabis is becoming more universally accepted. A total of 31 states now allow some form of medicinal cannabis. With the evidence beginning to build up, it’s quite surprising that Marinol is actually being prescribed at all nowadays. There could be several reasons for this. There’s a lot of money at stake for the pharmaceutical companies and, certainly in the past, the presence of Marinol was often used as an excuse not to legalize medical cannabis at all (an argument that is still being deployed in some states). There is also still a pretty strong cultural issue that surrounds the use of cannabis, though this is beginning to change at last. It’s seen as a threat and many legislatures, doctors and even patients don’t want to go too far. Older patients who may not have tried cannabis at all during their lives are going to be reticent about using it as a medical intervention. The research is beginning to build up, however. People are being forced to sit up and take a lot more notice and this has largely been facilitated by more information online. For instance, some evidence suggests that taking cannabis can help with the side effects of chemotherapy and even make treatments more effective. It’s not just in the US where medicinal cannabis has had a problem breaking through into the mainstream. It’s something that happens all over the world. For most patients, the issue is going to be cost. The fact that many health insurers in the US don’t include natural cannabis is still a problem and something that needs to change. Most ordinary people don’t have the understanding of growing cannabis to create their own medicine without a lot of trial and error. The medical cannabis products that are available to buy on the market can also vary in quality and what they contain. 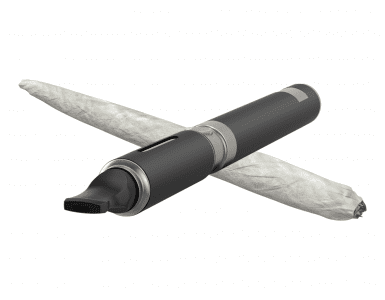 Is the cannabis to be ingested, smoked or vaped? What strength needs to be used? If someone is using cannabis for a medical problem and hasn’t had it prescribed by their GP, for instance, what happens if their workplace carries out random drug tests? Are they at risk of losing their job? Seedsman has a category for Medical Cannabis Seeds on our website. Another issue is how cannabis interacts with other drugs if someone is on additional medication. This can be a difficult thing to assess and something which you shouldn’t really do without good advice from your doctor. Despite all these issues, many people still believe that natural cannabis from the plant is far more effective than a synthetic substitute like Marinol. If you have a sympathetic doctor, it may well be advantageous to sit down with them and discuss the options. Are Insurance Companies Changing Their Minds? In the end, more investigation into the long-term health benefits of the natural cannabis plant should mean that we don’t really need synthetics such as Marinol anymore. Unfortunately, even in the US we’re still a long way from that. Until insurance companies start to include medicinal cannabis on their policies, things will probably remain skewed towards Marinol. The good news is that these companies seem to be changing their way of thinking with the recent announcement that Sun Life is covering medical cannabis patients, if only for a limited amount. It’s a surprise that they have taken so long. But at least it’s a start. Hemp Seed Oil Vs CBD Oil: What’s the Difference?